The STBA promotes the improvement of standards used in the refurbishment of traditional buildings by getting involved with certain projects that encourage the use of responsible retrofit and the whole-house approach. For more information on our projects, contact Nick Heath, our Technical and Projects Associate Director. Following on from our ‘Bristolian’s Guide to Solid Wall Insulation’, we developed Responsible Retrofit training courses with the Council, covering both external and internal wall insulation. 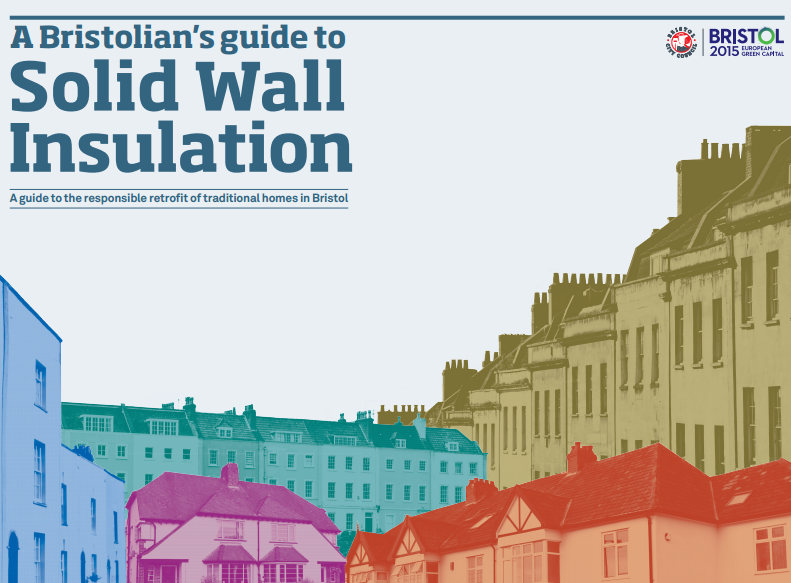 A user-friendly online tool and complimentary guide was made available for those living in Bristol to help them make more informed decisions about how to insulate their homes. By showing residents what to look out for, Bristol City Council believes that the uptake of one of the most effective energy efficiency measures will be increased and the quality of installations improved. 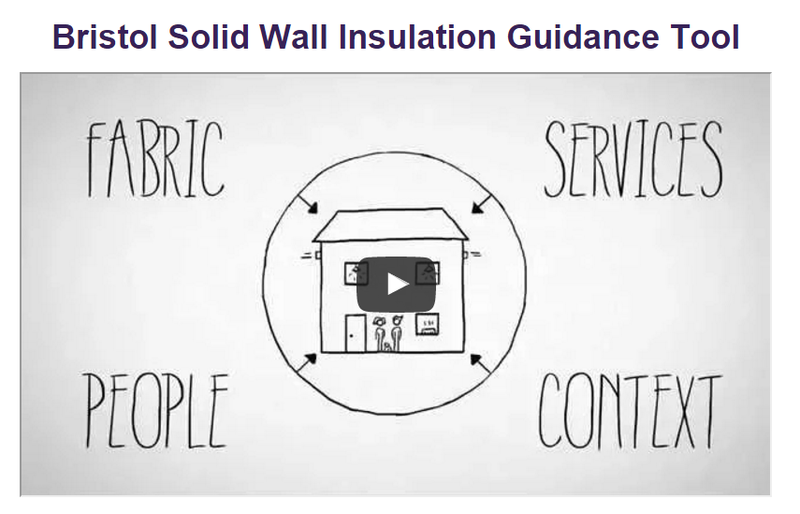 Householders wishing to apply solid wall insulation (SWI) often find themselves in unfamiliar territory and lacking trustworthy and understandable information that will help them make the right decisions. The council, in partnership with the Sustainable Traditional Buildings Alliance (STBA), has developed guidance to help with this. 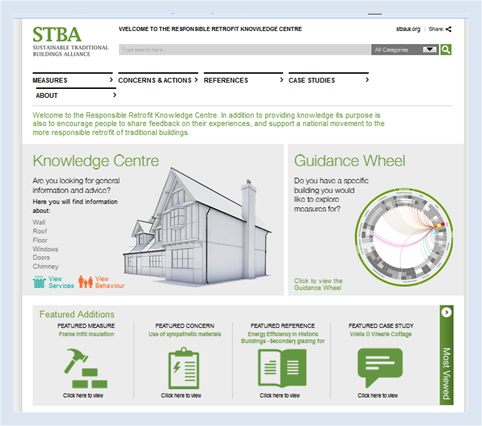 According to STBA, the toolkit is currently the most comprehensive and customer-focused guidance available. It takes a holistic “whole house” approach, which integrates energy efficiency, health and heritage issues in a joined up process. - Project management and monitoring. Although the guidance was targeted at householders, professionals and installers have also benefitted from using the toolkit. Inspired by the delivery of Bristol City Council’s residential energy efficiency scheme, Warm Up Bristol, the guidance has been developed with the specifics of Bristol in mind. 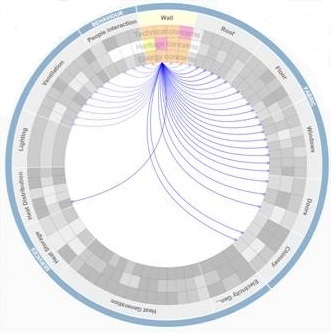 It is hoped, however, that the toolkit will become good practice across the UK. This course is aimed at anyone involved in setting up, designing, managing or assessing SWI projects: architects, surveyors, site managers, planning and building control teams and other relevant parties. Over the two days, delegates will gain an understanding of the principles and details needed for effective SWI retrofit. The teaching combines theory and practice, with a mixture of classroom-based and training rig learning to ensure a broad understanding of the key issues. The desk-based teaching takes delegates through the principles of retrofitting traditional buildings, and the detailed design considerations needed when planning, designing, installing, inspecting and maintaining both EWI and IWI. Complex building and insulation details are covered, but always in the context of the wider building, its context and its use. Teaching of this session is a mix of presentation, discussion and exercises, and is highly interactive throughout. The practical rig work focuses on practical design and application issues, with installation demonstrations covering both EWI and IWI. Delegates will learn about the different ‘problem areas’ of a typical older building and identify the best ways to deal with these. Demonstrations make use of bespoke training rigs and are led by experienced SWI installers and trainers, and allow the theoretical principles to be applied and considered in practice. The trainers: STBA’s Nicholas Heath and Neil May are joined by Matthew Smith of NBT and Rob Woodhouse. A 2-day course for anyone involved in installing, managing or inspecting IWI installations. Delegates gain an understanding of the principles and details needed for effective IWI retrofit. The teaching combines theory and practice, with a mixture of classroom-based and training rig learning to ensure a broad understanding of the key issues. The desk-based teaching takes delegates through the principles of retrofitting traditional buildings, and the detailed considerations needed when planning, designing, installing, inspecting and maintaining IWI. Complex building and insulation details are covered, but always in the context of the wider building, its context and its use. Teaching of this session is a mix of presentation, discussion and exercises, and is highly interactive throughout. The practical rig work focuses on practical design and application issues, with installation demonstrations of numerous details. Delegates will learn about the different ‘problem areas’ of a typical older building and identify the best ways to deal with these. Demonstrations make use of bespoke training rigs and are led by experienced IWI installers and trainers, and allow the theoretical principles to be applied and considered in practice. The trainers: STBA’s Nicholas Heath and Neil May are joined by Matthew Smith of NBT.